Give each winch a quick spin. If they’re not turning freely, now is the time to strip and clean them. Windlass issues are almost always down to poor connections. Inspect these closely, especially at the foot switches, and if necessary take the connections apart, clean them, apply some petroleum jelly or dielectric grease and reassemble. Check your lifelines for signs of corrosion. Sheathed wire is especially prone to this. Replace if they look suspect. Also, check the split pins or split rings at the terminals. Split rings have a habit of working loose. Take a close look at turnbuckles and shroud terminations. Make sure all split pins are in place—especially if the mast has been unstepped for the winter! In the spring, yard workers are so busy they sometimes forget the obvious. How’s your anchor rode? Time to redo the depth markers? Make sure the connecting shackle’s pin is wired, so it can’t work loose. Rinse all turning blocks out with freshwater to remove any dust or grit. Make sure through-hulls are free of barnacles and marine growth. Check that your seacocks operate freely. Depending on the type, these may need to be stripped and greased. The best thing to do with ball valves, especially Marelon, is to exercise them by regularly opening and closing them during the year. Make sure hose clamps are in good condition and replace any that show signs of rust. Do you carry wooden plugs on board, as you should? Why not attach them to the seacocks, so that they’re right there in case of emergency? Check the P-bracket for stress cracks—especially if you’ve had a line around the prop the previous season. Shake the propshaft from side to side to check for movement in the cutless bearing. Change the zincs. Check the rudder for cracks in the leading and trailing edges, and check for play in the bearings. Make sure the propane connections are tight, the supply hose is not chafed or pinched, and test the stove and solenoid. Get your head ready for action by removing the intake hose and pouring vinegar into it. This will dissolve much of the scale buildup in the hoses and pump body. Pump the vinegar through the system, letting it sit overnight, flush with freshwater and then follow up with a shot of Pure Ocean head lube or mineral oil. 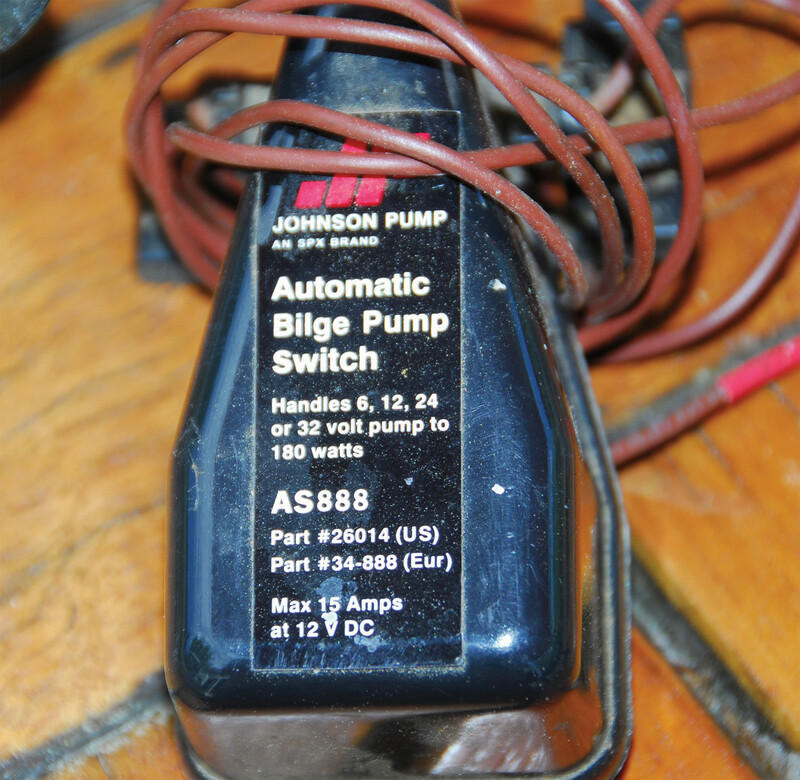 Inspect and clean your electric bilge pump(s). Make sure the electric cable connections are sound and test the float switch. Dry the bilge thoroughly before launch, so you’ll know at a glance if there is a leak. Test the macerator pump, if fitted, and make sure some critter hasn’t made its home in your holding tank vent. Flush out your water system. If you’ve made the mistake of pouring antifreeze into the tank, you may have to fill and empty it a few times to get rid of the taint. If you’ve been smart and added the antifreeze just upstream of the electric pump, it won’t take long to flush out the hoses. A small dose of bleach in the penultimate tankful will clean out the system. Open all compartments and lockers, and clean off any mildew. Vinegar is an effective mold and mildew killer, but do not mix it with bleach. Test the batteries in the smoke and carbon monoxide detectors and replace if necessary. If you have flooded lead-acid batteries, check the electrolyte and top up if necessary. Charge the batteries. Inspect the battery terminals for corrosion. If necessary, clean them with baking soda and water (an old toothbrush is great for this job). A thin coat of Vaseline on the terminals will keep corrosion at bay. Tighten all connections at both ends of the battery cables. Make sure the 12V system’s ground connection to the engine is tight and free of corrosion. A poor ground is a common cause of electrical problems. Inspect the shorepower inlet for signs of overheating, which can result in a fire. Power up your instrument displays and switch on the backlighting to help clear condensation. Check the shorepower inlet for signs of overheating (left;) Is the oil fresh? If you neglected to change the engine oil at the end of last season, do it now. It will contain contaminants and acids. Check transmission oil level and refer to the manual to see if it’s due to be changed. Check the engine coolant hoses for cracking and splitting, and make sure fuel lines and their hose clamps are in good condition. Change primary and secondary fuel filters. Adjust alternator and water pump belts—there should be no more than half-inch of play in them. Reinstall the impeller, if it was removed at laying up time, and check internal zincs—replace if more than half wasted. Have a look at the stuffing box and make sure the packing has not dried out, especially if the boat has been laid up for longer than a winter. If you have a dripless shaft seal, inspect the rubber bellows closely. These have a finite lifespan. If you have a saildrive, check the oil level in the drive leg and check for signs of leaking around the rubber seal. Change the zinc if it’s more than 25 percent gone. Orally inflate your lifejackets and leave them overnight to check for leaks. Make sure the CO2 canisters and automatic inflators are installed correctly. Check and, if necessary, replace batteries in MOB lights, strobes and flashlights. Test Epirbs and PLBs, and ensure flares are in date. Charge up your handheld VHF and cordless spotlight.